Do you feel your collection of jewellery could use a little love? Looking for that elegant piece of jewellery that she will treasure for a life time? Bitter Sweet Jewellery is the destination for the hottest arrivals designer watches and fine jewellery. At Bitter Sweet Jewellery in Etobicoke, you can find the best bridal jewellery, fine sterling silver, as well as elegant necklaces, earrings, bracelets, costume jewellery, designer watches and more. 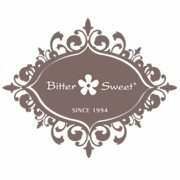 Visit Bitter Sweet in CF Sherway Gardens today for gifts that show how much you care, or for the perfect piece of jewellery to satisfy your collection.